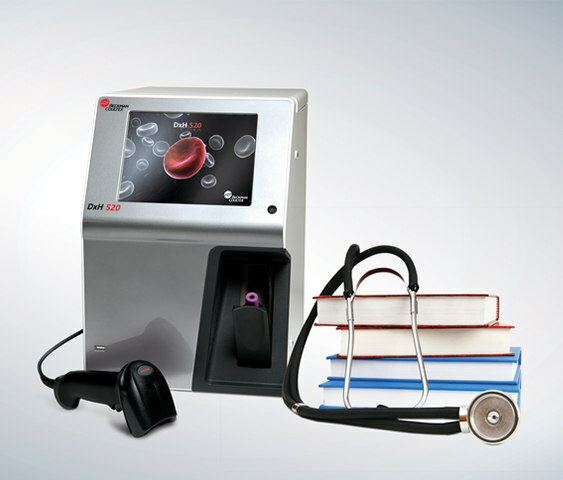 Beckman Coulter (Brea, CA, USA; www.beckmancoulter.com) announced the award of CE Mark to its compact hematology analyzer designed to serve physician office laboratories with increased productivity and ease. Featuring as little as two environmentally-friendly reagents and a compact five-part differential system, the DxH 520 hematology analyzer enhances efficiency and resource management through a comprehensive feature set that automates daily tasks. This reduces the amount of time spent on laboratory operations and frees time for patient care. Laboratories with low-volume workloads are under increased pressure to deliver high-quality patient care with greater operational efficiency. The DxH 520 analyzer strengthens clinical decision-making with its proprietary dynamic-gating method that improves sample flagging, and re-duces slide reviews and technical interpretation, while maintaining effective clinical sensitivity. As an upgrade from a three-part to a five-part differential instrument, the DxH 520 analyzer gives the clinician more information by which to make decisions when assessing a patient. A robust IT and data-management package helps reduce clerical errors and in-efficiencies, and allows for easy retrieval of up to 30,000 patient samples. The system’s small 17-microliter aspiration is ideal for puncture sam-ples from infants, geriatric, oncology, and critical care patients. Closed tube aspiration capability both simplifies analysis and ensures safety for laboratory technologists by eliminating sample exposure. The DxH 520 complements Beckman Coulter’s wide-ranging product portfolio, delivering performance and functionality to meet the needs of clinical laboratories of all sizes — from low- to ultra-high volume. The company used its time-proven flagship DxH 800 hematology solution as the predicate method for the DxH 520 system, establishing a strong correlation throughout the entire DxH line of hematology analyzers. This provides a high level of continuity of care for clinical laboratories, regardless of whether they are small- or high-volume facilities.